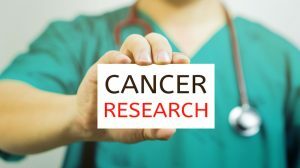 There are no clinical trials comparing Gamma Knife vs. LINAC-based radiosurgery (SRS). In RTOG 9508, patients who were randomized to the SRS boost arm underwent either Gamma Knife (GK) or LINAC-based SRS (LINAC-SRS) and there is no data demonstrating the benefit of either modality . There are many differences in the treatment planning and treatment delivery when utilizing a GK or LINAC to deliver SRS. Immobilization: Gamma Knife treatment is always performed utilizing a fixed headframe which is placed on the day of the treatment. For LINAC-SRS, the physician can choose to treat with a headframe or mask, otherwise known as “frameless”. Future Gamma Knife models are planned to have the capability of treatment with a mask, but that is not currently available. Simulation: The simulation for GK is performed on the day of the procedure while the patient is wearing the head frame, and usually the simulation is an MR. If frameless LINAC is planned, the patient will have a simulation a few days prior to treatment and a custom mask is created at that time. LINAC based plans require a CT, so the patient’s prior MRI has to be fused to the simulation CT. Treatment Planning: For GK, the plan will frequently have multiple isocenters per lesion treated, called “shots.” LINAC-SRS plans have one isocenter per lesion treated. Currently, one GK plan can be created even when multiple lesions are being treated (each lesion potentially with multiple isocenters, as well). 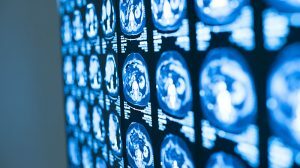 BrainLab has recently announced its Elements automatic brain metastases planning software, which will facilitate planning multiple isocenters. The goal of this new software is to decrease planning time- and treatment time- for multiple brain metastases (2). Machinery: GK-SRS necessitates a dedicated Gamma Knife machine. LINAC-SRS requires a LINAC, which may also be utilized for regular fractionated treatments. Radiation Source: LINAC utilizes x-rays and GK utilizes radioactive Cobalt-60 gamma emitting sources. Collimation: Linear accelerators utilize multi-leaf collimators to shape the beam. GK has fixed collimators of varying sizes (4mm, 8mm and 16mm). Fractionation: Because GK currently necessitates a fixed headframe, most treatments are single-fraction. LINAC-SRS can be more easily fractionated when utilizing a mask. Verification: The physicians, physicists and therapists verify the patient’s position on the table prior to initiating LINAC-SRS. When treating with GK, no verification is performed. Future GK models may incorporate cone-beam computed tomography (CBCT) to allow for verification of patient positioning. University of Toronto recently published their in-house incorporation of a CBCT to a Leksell Gamma Knife Perfexion to verify positioning when not utilizing a headframe. There are many differences between Gamma knife and LINAC-based SRS delivery. There are no clear indications for choosing one modality over the other. At this time, physician and patient preference is the determining factor, as well as the availability of each technology at the treatment center. 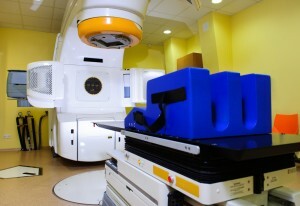 What about CyberKnife-based radiosurgery? 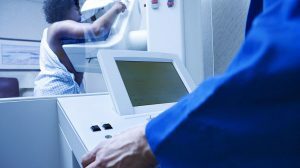 We’d love to hear about how CyberKnife compares to LINAC and Gamma Knife radiosurgery. Please comment and share your expertise with us!